Eleven-year-old Poppy Ray longs to be a veterinarian, but she's never had a pet. This summer, she's going to spend a month with her uncle Sanjay, veterinarian and owner of the Furry Friends Animal Clinic on an island off the Washington coast. Poppy is in for big surprises. She loves tending to the dogs, cats, and even a bird, and she discovers the fun of newborn puppies and the satisfaction of doing a good job. But she learns that there's more to caring for animals than the stethoscope and cotton swabs in her Deluxe Veterinarian First-Aid Kit. She's not prepared for quirky pet owners, gross stuff, or scary emergencies. With help from a boy named Hawk, a chunk of seaglass, and a touch of intuition, Poppy gains a deeper understanding of the pain and joy of working with animals. 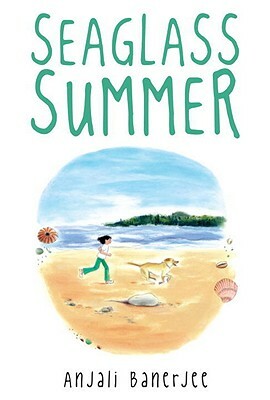 With warmth and humor, Anjali Banerjee tells the story of a resourceful, determined girl who can't wait to grow up, but begins to realize just how much she has left to discover. Anjali Banerjee is the author of Maya Running and Looking for Bapu. She was born in India, grew up in Canada and California, and received degrees from the University of California, Berkeley. At the age of seven, she wrote her first story, about an abandoned puppy she found on a beach in Bengal. Her Pushcart Prize–nominated fiction has appeared in several literary journals and in the anthology New to North America. She lives in the Pacific Northwest with her husband and three crazy cats. Learn more about Anjali on her Web site, www.anjalibanerjee.com. "Always true to itself, this should find a wide readership." "This engaging and realistic tale is a top pick for reluctant readers and anyone with an interest in what veterinary care entails." "This novel...reflects a quiet contemplativeness that leaves readers both pensive and satisfied."